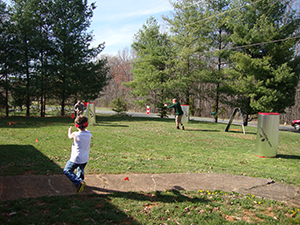 For package #6 add $69.00 for each hour of Laser Tag or Nerf Gun Games. * Call 434 907 3036 or 434 907 3038 for pricing on events longer than 3 hours. * A $75.00 deposit required to reserve your date and time. Please make checks to N Action Arcade LLC. from our location in Madison Heights Va.
* We will gladly bring our kiddie rides (Spiderman Car & Leo Lion see-saw) to your event for an additional $20.00 each.